Indian government has planned to issue unique identifications (UID) to all citizens starting from 2009 End. This will be another initiative towards e-governance from Indian Govt. It will a smart card and can be a replacement for existing ration cards, voter ID cards. There will be a separate agency (named as UID Authority of India) created for creating/maintaining the database. Not sure, whether Govt will be able to implement it successfully or not. There are already plenty of e-governance projects biting the dust. Problem with Indian government system is that, they just do the planning and do not act on implementation pro-actively. 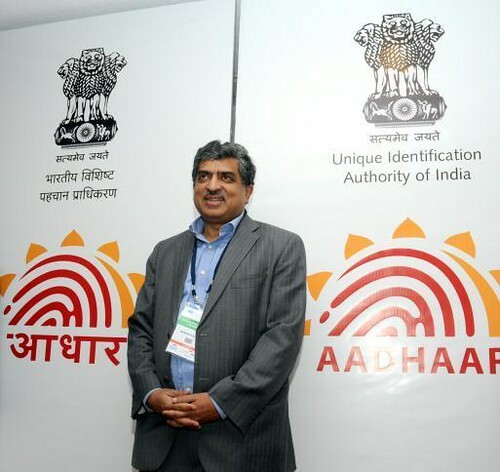 The Unique ID number will now be known by its new brand name Aadhaar (आधार). Its logo has also been unveiled. The logo creator, Atul Sudhakarrao Pande, a Mumbai resident was given a cheque of Rs one lakh after his design was selected among over 2,000 entries. People living below the poverty line will get Rs 100 each as they are allotted the Aadhar number. UIDAI is in talks with banks to make sure that the Rs 100 is directly credited to peoples bank accounts. This way,people who are not financially included will also be allotted a bank account number.